I’ve read that sometimes it’s hard for first time Moms to differentiate baby kicks from gas and other fun digestive issues. While I was waiting for soccer practice to officially begin, I also read that baby kicks can hard to describe in the beginning. Well, after six weeks of careful analyzation, I can tell you exactly what they feel like. Like there is a little fish swimming around your insides that sometimes gets a little worked up and tries to break out of the bowl. As in, thrashes from side to side of the bowl in search of freedom. And other times the fish sleeps and I have to feed it to wake it up. Did you know that fish like chocolate? At least, this fish does. 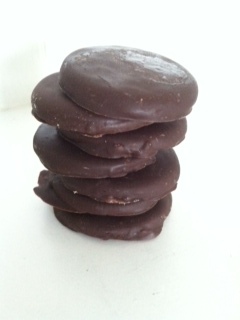 So much so that P-Daddy and I made a batch of home-made thin mints using this genius recipe. We also went fishing for some gear at a local consignment sale. Let me just start by saying that as someone who dislikes shopping, I was surprisingly super excited to go to this sale. I even made a detailed list of baby needs organized into several categories including bath time, baby gear, linens, feeding, diapering, clothing, hygiene and incidentals. I was giddy just thinking about getting my hands on some necessities and saving a bunch of money in the process. Why I thought this would be anything different than an extreme version of Black Friday Garage Sale shopping is beyond me. Aren’t pregnant ladies supposed to be tired and slow? The sale started at 7:30 PM and I already had reservations what with it being at the same time as my usual bedtime. I knew my excitement would keep me awake and I was looking forward to perusing the merchandise. That is until I got ran over by the Mom-zillas running at a sprint triathlon pace and hurdling themselves onto strollers and pack and plays. Clearly I did not train properly for this event. While I thoroughly investigated a bouncy seat for a full 38 seconds, all of the pack and plays were snapped up before I could even sneak a sideways glance in their direction. I put the bouncer down and backed away very, very slowly. 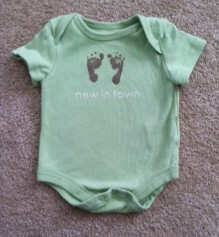 In an attempt to avoid poking the Mama Bears, I headed for the infant clothes and leisurely looked through the outfits. People had 2 or 3 giant bags of clothing before I even selected my first shirt. By the end of the first half hour, I had exactly three onesies while the other Moms were lined up on the sides of the Middle School gym unloading their multiple bags of loot and taking a much needed rest after the first round of extreme shopping. Even though the majority of the stuff was dirty and well beyond “gently used,” P-Daddy and I snagged some good stuff that will hopefully come in very handy. We carried our loot to the never ending check out line where I chugged a bottle of coconut water and tried to convince P-Daddy that the kid surely needed the red Radio Flyer Tricycle that I was eyeing in the corner. 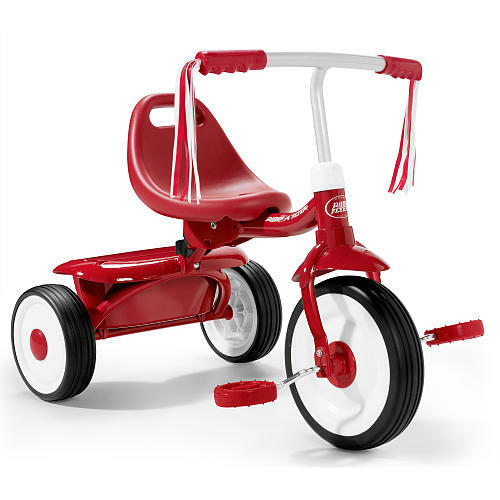 You can never start cycling too early, right? 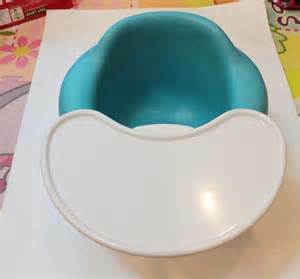 Also, even though there was an argument about staining vs. spending an extra $5, we grabbed the (less stained and more expensive) Bumbo seat for feeding. I’ve seen this book reviewed on other blogs and was interested to see what all the hub-bub was about. I’m *happy* to report that I finished it in one day and the premise is so ridiculously simple, that it makes absolute perfect sense. Written by Harvey Karp, M.D. and expert in child development, its a easy but systematic approach to soothing and comforting your babe. Carry, swaddle, and cuddle as much as humanly possible for the first 3 months. 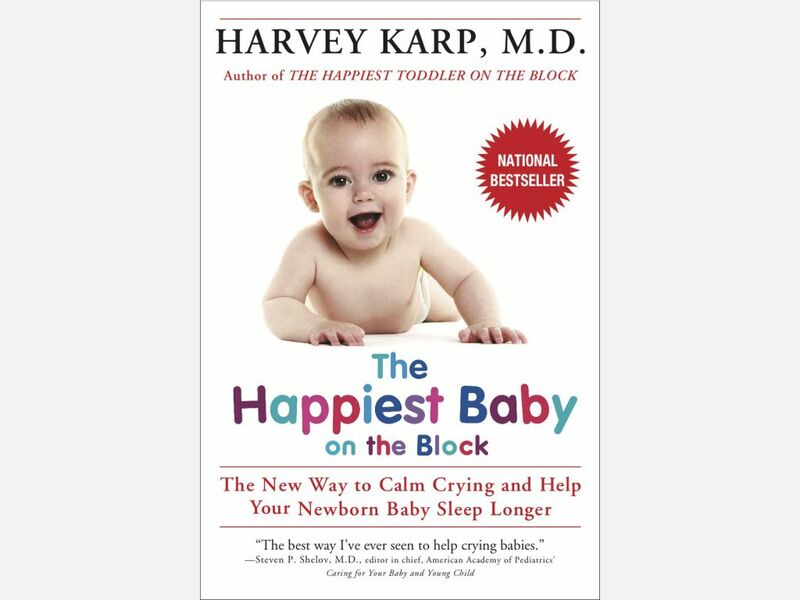 If you have an inclination to punch me through the computer right now and inform me that it will risk “spoiling” the baby, I encourage you to read the book, the science behind it, and the thousands of years of child rearing that back-up Dr. Karp’s claims. 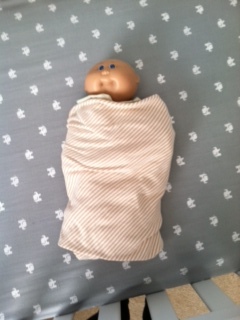 Speaking of swaddling, I told P-Daddy I needed a full course tutorial and he informed me that he’s somewhat of an expert himself having helped out with his much younger brother. Ross Barnaby looks as snug as a bug as a rug in there. The other goods include a book on breastfeeding, more clothes, blankets, wash cloths, and a Halo sack swaddler. After we ate all of the Thin Mints on Saturday, we tackled the baby registry. 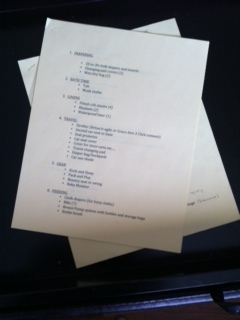 That was also surprisingly un-painful after I had my super duper organized list to guide me. 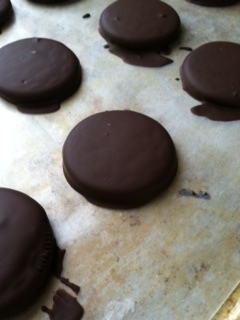 It’s almost finished and we’ll release it to the masses once the odds and ends are accounted for. Today marks 24 weeks and reality is starting to set in. This fish will be out of water in the next few months! Baby tip for p-mommy, there are swaddlers on amazon that are just like a sleeping bag for swaddling.there are also summer EASY summer swaddlers on Amazon.Also, ask for different sizes on your registry so everything is not newborn.